Each and every one of us, as active citizens in South Africa, need to speak out about the serious lack of authentic leadership. Having said this, the challenges facing the country – such as unemployment, crime, gender-based inequalities, inadequate infrastructure and issues pertaining to land reform – can only be addressed when leaders are sufficiently equipped to take control within complex and diverse milieus. 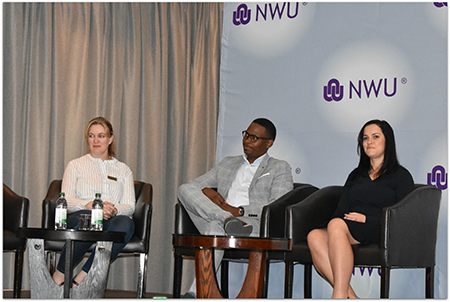 This was the tone of debates during the 4th annual North-West University (NWU) Leadership Summit, which recently took place at the Birchwood Hotel in Johannesburg. 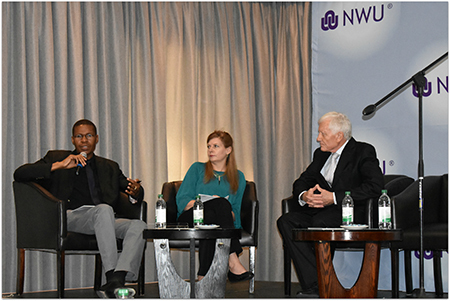 An impressive line-up of keynote speakers shared their insights on leadership and the experiences they have gained within the leadership arena. 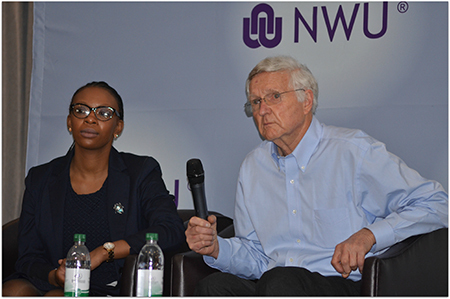 These speakers included: Prof Linda du Plessis (NWU Deputy Vice-Chancellor: Planning and Vanderbijlpark Campus Operations), Prof Rolf Stumpf (Chairperson: Stadio Holdings PTY Ltd), Mr Brand Pretorius (retired CEO: McCarthy), Ms Duduzile Mkhwanazi (CEO: Project Isizwe), Ms Dorette Visser (Director: Golden Key, South Africa), Cllr Bongani Baloyi (Executive Mayor: Midvaal) and Ms Adéle Croucamp (Managing Director: ACConsulting). Various definitions of leadership and associated attributes were discussed and all speakers were in agreement that everything – be it within the private or civil society – rises and falls on leadership. Not only does leadership inform strategy, it also unlocks human potential, optimises engagement and offers a competitive advantage. If you can’t lead yourself, then you cannot lead others. An authentic leader has the mind-set that leadership is not a right but a responsibility. Leadership does not equate to power or authority, but rather to service and dedication. There is a fundamental difference between leading and managing. Ethical leadership is a prerequisite for effective leadership. True leaders have the ability to translate vision into reality. Leaders deal in the currency of hope. A leader is someone who learns from his failures and who knows that a mistake is not the beginning of the end, but rather the beginning of a new opportunity. The importance of leadership empowerment was also discussed while the impact of access to technology, information and learnership opportunities also came to the fore. In her address Duduzile Mkhwanazi spoke about the lack of connectivity and how high data prices and insufficient internet infrastructure are contributing towards the country’s slow economic growth. She explained that for a great majority of South Africans the choice between 1 Gig of data for R149, or food on the table remains a dire reality. 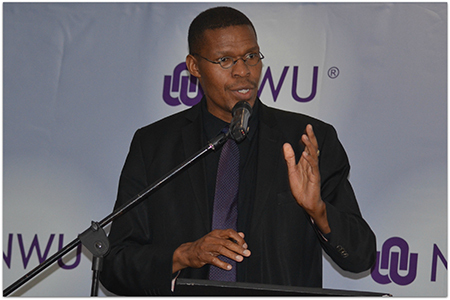 Prof Dan Kgwadi, vice-chancellor of the NWU, opened the summit with a welcoming address. Ms Duduzile Mkhwanazi and Prof Rolf Stumpf. Ms Dorette Visser, Cllr Bongani Baloyi and Ms Adéle Croucamp. Prof Dan Kgwadi, Prof Linda du Plessis and Mr Brand Pretorius.